Using a circular cookie cutter, cut each slice of sour dough bread into 2-3 circles. Place them on a large baking tray. Pre-heat your oven to 180C. Bake bread cut-outs for 10 minutes until crispy golden brown. Set aside to cool. 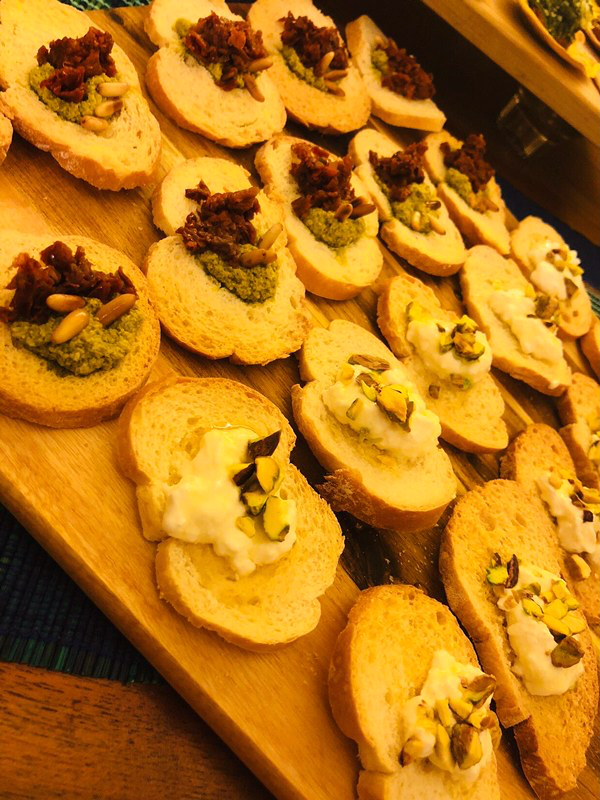 Before serving, drop a teaspoon full of cottage cheese on each piece of crispy bread, drizzle honey all over, and garnish with chopped pistachios. Serve immediately.